Boost your career. Volunteer for the DofE. 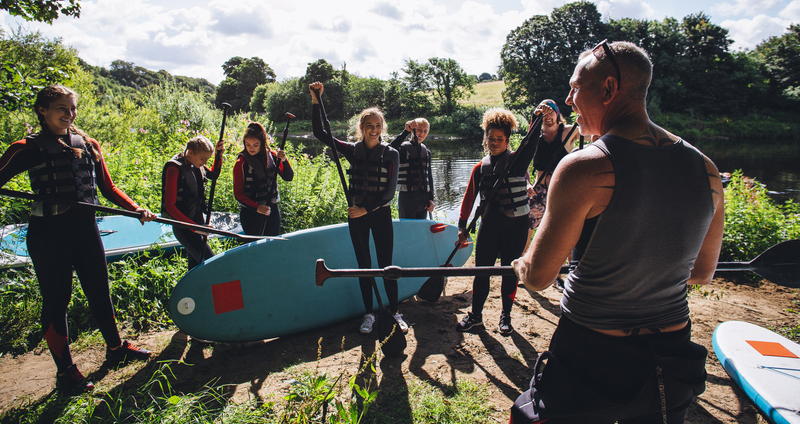 The work-ready benefits of young people doing their DofE are well known – but have you thought how volunteering for DofE activity could benefit you? Through running the DofE you gain valuable leadership and management experience that can help your professional development and career progression. DofE Co-ordinator and Physical Education teacher, Jasmine, says her DofE volunteering contributed to her promotion: “The DofE allows DofE Co-ordinators, Managers and Leaders to develop skills such as management, leadership, teamwork and communication which we are able to transfer into the workplace. These are the skills I developed when I was a DofE participant myself, but they are also the ones that have improved dramatically since I have been a DofE adult volunteer. These are the people that set up and manage the DofE within the school, support DofE Leaders and oversee all DofE groups. DofE Leaders are responsible for the DofE groups. You’ll lead, guide, inspire and encourage young people, agree their programme choices and approve their progress and pictures. A DofE Assessor checks on a young person’s progress and agrees the completion of a section of their programme. You’ll need knowledge of the activity that they are doing to approve their progress and pictures. Expedition Assessors need to be accredited by the DofE through the Expedition Assessor Accreditation Scheme. Supervisors are the people with a good understanding of a participant’s chosen activity. You’ll help them set their goals and regularly meet with the young person to check on their progress, address any potential issues and adjust goals. Helpers may give general support, i.e. admin, help run one section for a DofE Leader or give specific training. If you’d love to make a positive impact on the young people around you and your career, then get in touch with your colleague that runs the DofE at your school. If the DofE isn’t currently run at your school, you can contact us to find out how to become a Licensed Organisation.